Newzulu (ASX:NWZ), a growing name in crowdsourcing news, has decided to undergo a wholesale restructuring focused on reducing costs and raising efficiency to improve future performance. Newzulu is a crowd-sourced media provider, facilitating citizen journalists, photographers and videographers to submit news content. In NWZ’s own words, NWZ allows anybody, anywhere, with a mobile device and a story, to share news, get published and get paid. Currently operating in half a dozen locations around the globe (New York, Paris, LA, Toronto, Sydney and London), NWZ has relocated its headquarters to New York as part of an efficiency drive aimed at reducing the company’s entire cost base, but also, to position itself in the most lucrative content market in the world: North America. NWZ says that its revenues from major partnership agreements have commenced in the second half of 2015 which has enabled NWZ to report strong revenue growth in the first half of the 2016 financial year. Operating revenues totalled $1.496 million for the 6-month period, representing a 518% increase on the previous comparative period (1H FY15: $0.242 million). Customer cash receipts rose strongly by 736%, year-on-year. Annual run rate revenue increased up to $4.9 million, 45% higher year-on-year. The key drivers of this solid uplift were the result of revenues generated by Newzulu Technology, which contributed 62% of revenues to the Group and by Filemobile Inc. and Octiplex SAS, businesses which were acquired last year. 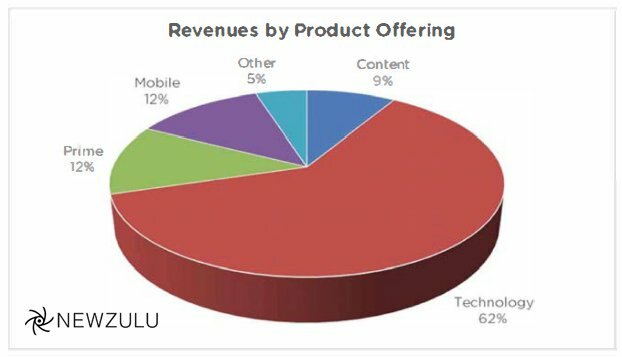 In a regulatory filing, NWZ says it content marketing software unit Filemobile, generated $0.837 million in revenues in the second half of 2015. Meanwhile, Newzulu Mobile which commenced operations in mid-2016, contributed 12% of revenues to the group in the second half of last year. Given the upbeat nature of its sales and revenue metrics, NWZ is already looking forward to the expected growth in networked and mobile devices over the coming years (24.4 billion by 2019). “Newzulu Mobile is well positioned as the global leader in mobile applications design, development and deployment to service the growing demand for app development services”, according to NWZ. With regards to NWZ’s content sharing trial with ABC News, dubbed ‘The Australia Day Project’, NWZ says it attracted over 1 million views and now “anticipates further commercial engagement and documentation to conclude during Q3 FY16”. ‘The Australia Day Project’ focused on gathering, producing and distributing content related to Australia Day on 26 January 2016, exclusively for ABC News viewers in Australia. NWZ’s collaborative efforts with ABC News and its other partners acknowledges the growing trend toward greater personalization and control of television and channels therefore improving ease-of-access and choice for viewers. NWZ is implementing a strategy to produce crowd-sourced television and online video channels from user-generated content built on the Newzulu technology platform. From a geographic perspective, 57% of NWZ’s revenues were generated in Canada. The strategic acquisition of Filemobile added significant value to NWZ and contributed materially to its financial performance. 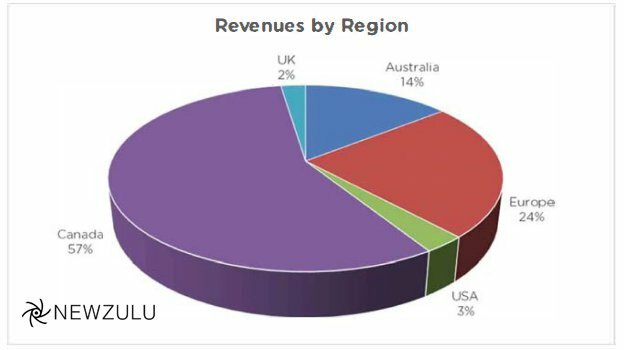 The European region contributed 24% towards total revenues. Revenues in the USA did not contribute meaningfully to financial results although this is subject to change according to NWZ’s Management team. According to an official announcement, “NWZ’s Management is confident that the relocation of headquarters and the Managing Director to New York, appointment of a US-based Chairman and focus on North America will grow client signings and revenues in the region”. 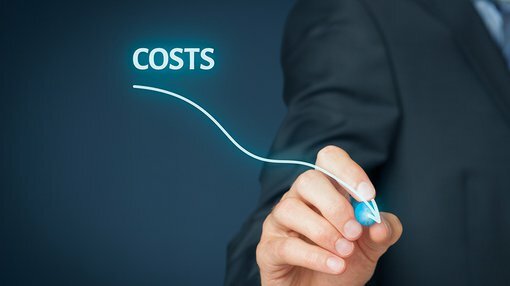 From a cost perspective, NWZ is slashing all unnecessary spending in order to streamline its entire business, making it more profitable in the long-term. In addition to a major relocation of its headquarters and CEO to NY, NWZ’s CEO Alexander Hartman has volunteered to reduce his overall remuneration package including a base salary cut and suspension of short term incentive cash payments. During 1H FY16 NWZ says it “completed a range of cost containment initiatives in order to reduce cash burn” including bureau closures to centralize the company’s operations. “Further significant cost cuts exceeding $5 million per annum are being implemented by management” said NWZ, although “the full effect of these recent measures will not be realized until FY17”. NWZ’s recent restructuring drive is expected to deliver estimated cash savings of over $5 million per annum, in addition to the $1.1 million per annum cash savings already implemented towards the end of last year. NWZ says it now expects to reach cash flow positive operations in “calendar year 2016”.